Nearly 100 million adults in the US suffer from chronic pain. The statistics about chronic pain are staggering. Nearly 100 million adults in the US suffer from chronic pain. 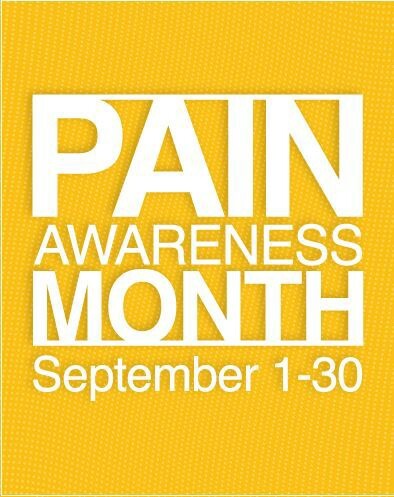 One in every 10 adults has experienced pain every day for the last 3 months or more. These numbers exceed the numbers of patients with heart disease, diabetes, and cancer combined. And the impact of pain on daily life is clear. People experiencing pain on a regular basis have more physical limitations, greater disability, worse sense of their health status and quality of life. They tend to spend more time with doctors and in the health care system. It is crucial to work with your doctor to determine the underlying cause of pain. But there are a few things your doctor just won’t know. 1. Depression and anxiety are extremely common. More than half of individuals with chronic pain also have some level of mental health condition, whether it’s depression, anxiety, stress, or related disorders. Mental health issues are probably both a cause of pain and a consequence of pain. 2. Pain medications don’t treat pain. Pain medications simply mask the symptoms of pain. They don’t really treat the root cause. Of course doctors do know this. But it’s worth reminding. Whenever possible, always hunt for the underlying cause of the pain, and ensure you are focused on improving function, mood, quality of life, not just on lessening the pain itself. Pain medication may well be needed as one component of your pain treatment, but we also need to make sure non-prescription solutions are available. 3. Depression + pain makes everything harder. Whether your depression is a result of being in pain or whether it might have been a precipitant of the pain, what is clear is that when the two go together, everything is worse. Patients with pain and depression have greater pain intensity, more frequent visits to the doctor, higher prescription medication use, and fare worse after surgery. 4. Managing emotional well-being should be a key component of pain management. Docs tend to be bad at acknowledging and treating our patient’s emotional well-being. Mental health conditions tend to fall low on the list of issues to address and treat. And as a result, they are forgotten and go untreated. In fact, nearly half of patients with diagnosed mental health conditions are untreated. We need to acknowledge that mental health matters, that it has a major impact on physical health. 5. Behavioral therapies work. Studies in well-respected medical journals show that interventions like cognitive behavioral therapy (CBT) can help reduce pain severity and interference in daily life. This is true whether patients with pain have depression or not. Cognitive behavioral strategies can help patients understand the relationship between their thoughts and emotions and their physical reactions and develop pain coping strategies. Benefits are proven to last. Incorporating behavioral health into pain management is a no-brainer. As the famous French physician, Albert Schweitzer, once said, “Pain is a more terrible lord of mankind than even death itself.” Let’s work together to ensure more people understand the connection between pain and depression, and that there are non-prescription solutions that can help.